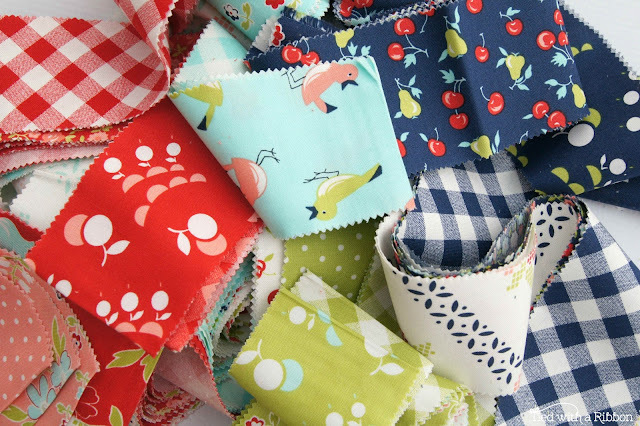 Jemima Flindt of Tied with a Ribbon is popping in today to share her ABC Birthday QAL project! 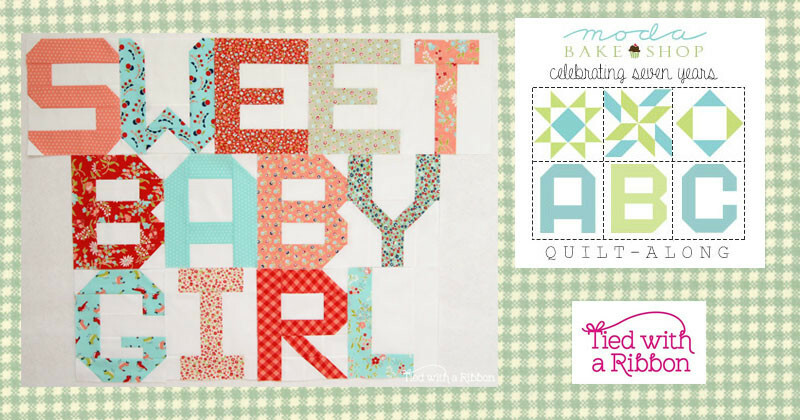 It is my turn today to celebrate Moda’s – ABC Birthday Quilt-Along. 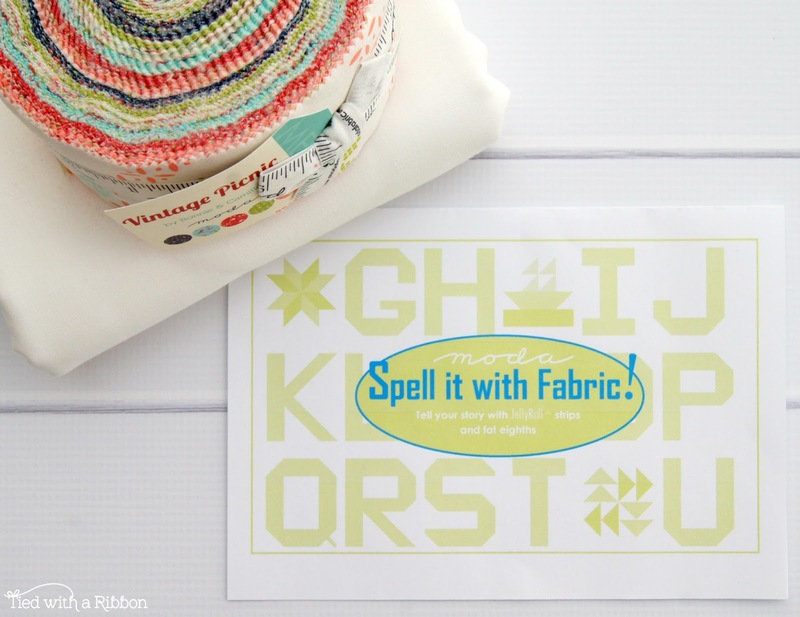 What a great fun way to completely personalise and make a quilt just for the person you are making it for. Whether you are making your favourite phrases, words, names or the alphabet itself this is a great pattern with lots of possibilities to create. Getting started is easy with just a Jelly Roll (and seriously who doesn’t have one of these they are hoarding), some background fabric and the “Spell it with Moda” pattern booklet (available from your local quilt store or online). As you may know I love reds and blues and I am a Bonnie and Camille fan and have adored the work of Camille’s for many years. 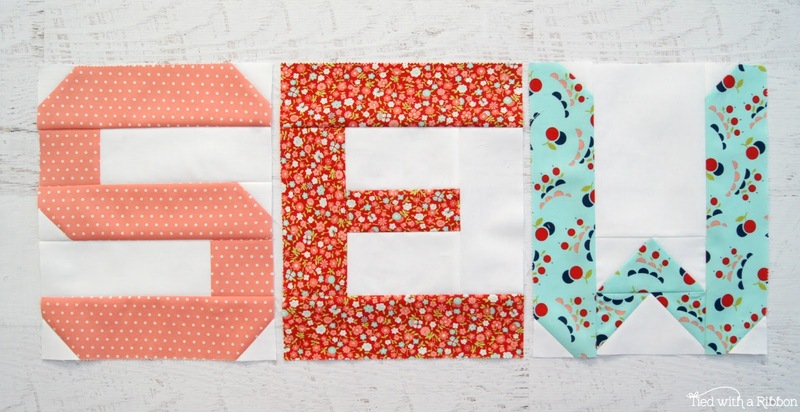 So their latest range – “Vintage Picnic” was the perfect choice for me to create some letters and decide on what I wanted my quilt to say and get sewing. We are expecting some new arrivals this year and already knowing what gender they are – as a quilt maker certainly helps to decide what to make. So with a precious baby girl soon to arrive I decided I wanted to celebrate this wonderful new little lady. 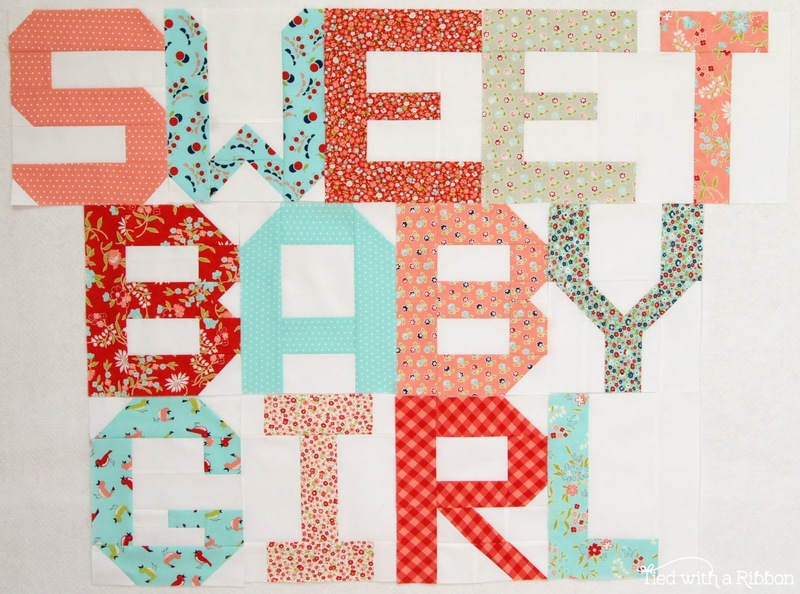 My plan – the lettering “Sweet Baby Girl” which I want to feature in the centre of the quilt. I am going to put background fabric around the letters to make them sit centrally and then filler blocks around as a border. You can check out the hash tag – #spellitwithmoda for heaps of ideas and inspiration from makers and by the way these letters are totally addictive. 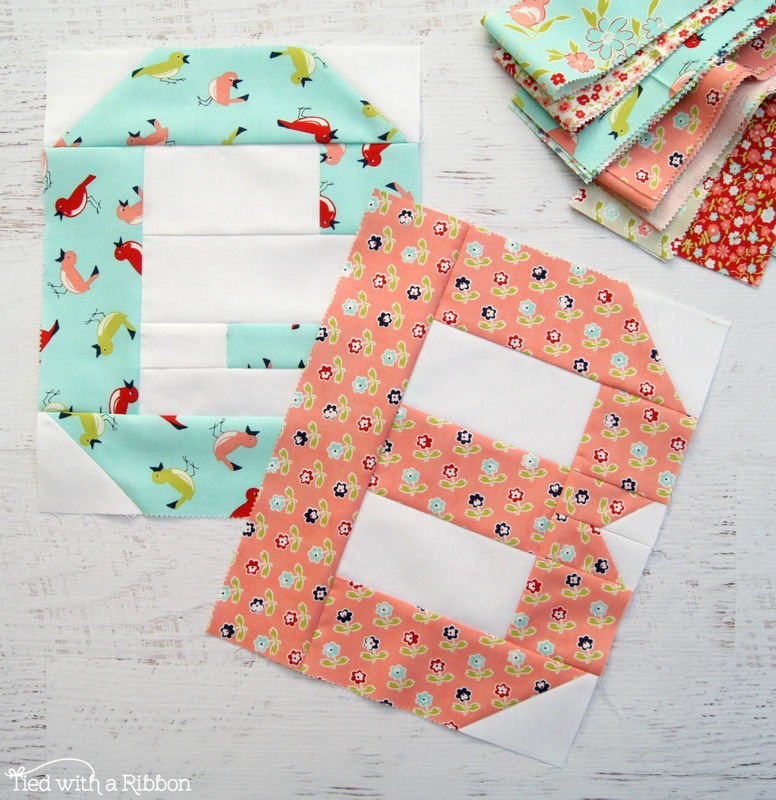 I have found myself even thinking I may use them as an ABC quilt instead with all the letters. Thanks for sharing, Jemima! Be sure to click through the links on this post to grab the letter patterns and check out other creative quilts. This entry was posted in Events and tagged ABC Birthday QAL, Bonnie and Camille, Vintage Picnic. Did you make the letters the same size or cut them down. If you made them smaller how did you go about doing that. Love your idea for a quilt. You could do a version of V and Co.’s popular baby one – Eat. Sleep. Play. Repeat. I love the ABC blocks and the way you have used them. Whee is the abc pattern on your www site. 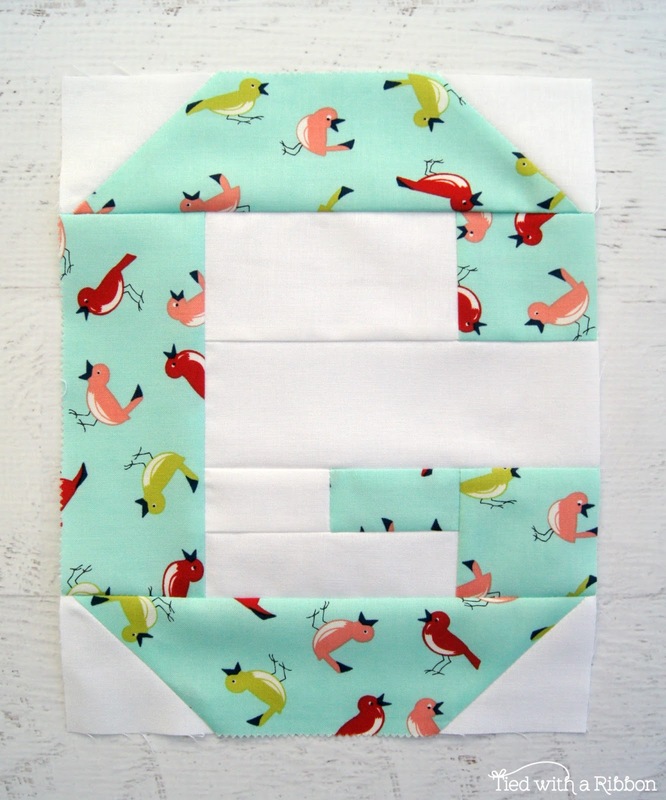 I love the ABC blocks, but where is the pattern to follow to make them? While I love Pinterest I have no idea of how to use it properly. Any guidance will be greatly appreciated. I’ve wondered the same thing. Where’s the pattern to make the letter blocks.